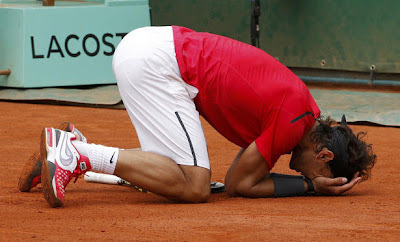 Paris, June 11: Rafael Nadal beat Novak Djokovic in a rain-delayed French Open final Monday to eclipse the great Bjorn Borg for a record seventh Roland Garros title. The final score was 6-4, 6-3, 2-6, 7-5, cementing Nadal's nickname as the King of Clay. "For me it's a real honour. ... For me this tournament is the most special in the world. It's probably one of the special moments of my career," he said after overtaking Borg's record of six titles between 1974 and 1981. Asked whether Nadal had any room left at home for yet another trophy, the 26-year-old responded: "There is always a space for a Roland Garros trophy." 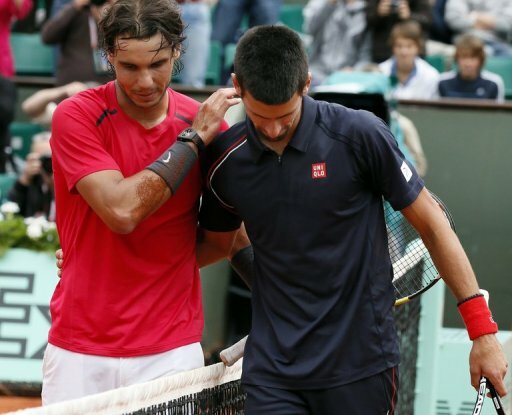 Djokovic got over his initial despondency quickly, smiling as he admitted: "Rafa was a better player. I hope to come back next year and play better. It was a privilege to be in this final."